Coinwort Indigo is an annual herb with stems usually prostrate, spreading, hairless or nearly so, sometimes rooting at the nodes. Stipules are lanceshaped-subulate, 2-3 mm long; leaves simple, somewhat ciicular to obovate, 1.5-5 cm long, 1.5-2.5 cm wide, obtuse at the tip, wedge-shaped at the base, hairless above, appressed-pubescent and gland-dotted below. Flowers are borne in racemes which are about 6-15-flowered, reflexed, in leaf axils. Bracts are minute, subulate. 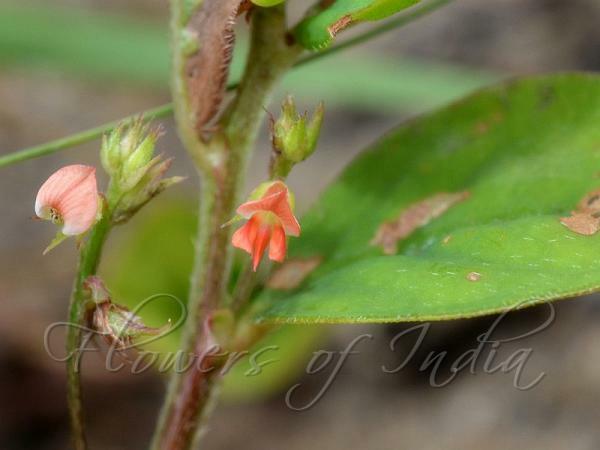 Flowers are tiny, about 3-3.5 mm long, calyx 2.5 mm long, with attenuate sepals, strigillose. Petals are pink or reddish, the vexillum lightly strigillose on the outer face, ovary 2-ovulate. Fruit is lunate, about 5-7 mm long, splitting open,	beset with hooked spines, 1(-2)-seeded. 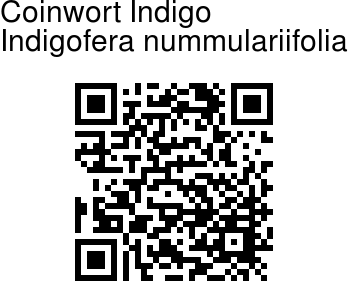 Coinwort Indigo is found in Tropical Africa, Madagascar, Sri Lanka, India and Indo-China. In India it is found in Kerala, Karnataka. Identification credit: Santhan P. Photographed in Bannerghatta, Karnataka.